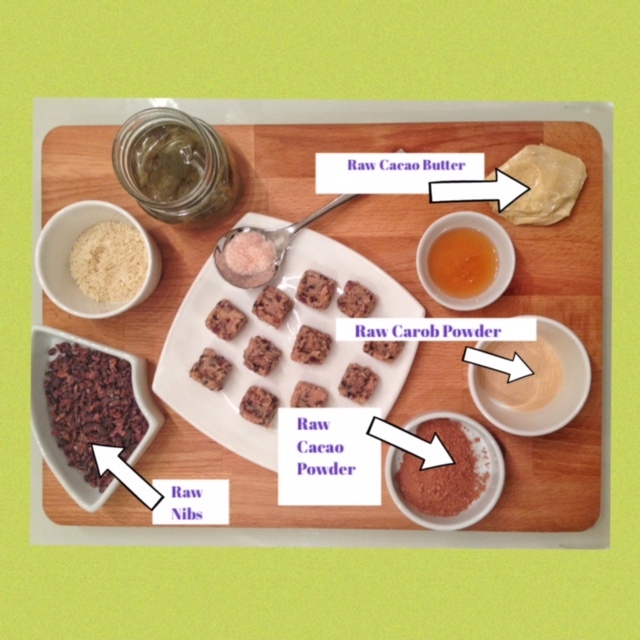 Raw cacao and cocoa begin life at the same source. Cacao (or cocoa) beans (yup, they’re referred to with both names, but the products made from it differ!) although generally referred to as legumes, are technically the seeds of the Theobroma Cacao tree. The pod-shaped fruit is botanically referred to as: baccate-like (berry-like) and each pod produces approximately 35-50 seeds surrounded by a sweet pulp. The pod and the pulp surrounding the cacao seed, in this case, constitute the fruit of the cacao. Here is a summary of what happens to your cute l’il cacao pods before they pitch up in your home as nibs, powder or butter. The Cacao beans start out white. The beans are removed from the pod and fermented. During fermentation, the enzymes break down proteins and amino acids and turn the beans brown. The beans are run through a mill. Milling crumbles and cracks open the skins, and starts to remove them. The beans are then hand sifted to remove the remainder of the skins. This produces the nibs .. the purest form of chocolate. The nibs are dried at under 120 degrees Fahrenheit, which means they are still raw. Cacao butter and powder are made from the nibs. To do this, the nibs are ground into a paste. The paste is then poured into a press. The press slowly squeezes the oil out of the paste. This is pure cacao oil, called raw cacao butter when it solidifies. What remains is called a press cake. A dry cake that’s cooled, then put through a stone grinder that turns the cake into a powder. The powder is then sifted to become a fine quality, raw cacao powder. The fact that blood flow is increased and oxygen flow improved means that it’s considered to be a boost to the body’s ability to work out and also recover afterwards. Raw cacao also has a zero sugar rating.When raw cacao powder is heated to high temperatues (ie above 120 degrees Fahrenheit) it becomes cocoa, commercially used in products such as hot chocolate and baked goods. Heating to this level, reduces beneficial enzymes and lowers the overall nutritional value. It’s also worth bearing in mind that it’s wise to check the product label to see what else has been added (artificial flavouring, preservatives, sugar etc) before buying in.